38. 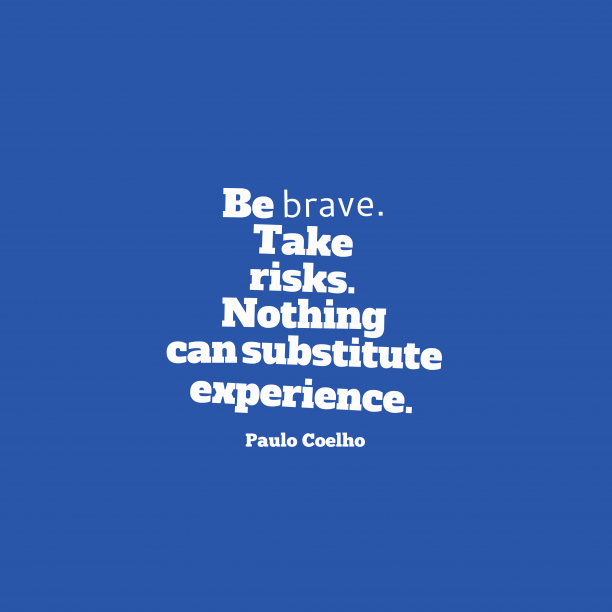 Paulo Coelho quote about chance. 39. 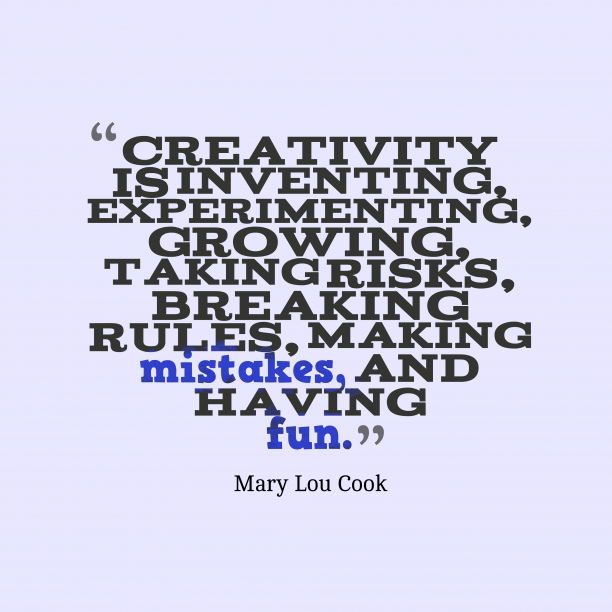 Mary Lou Cook quote about creativity. 40. 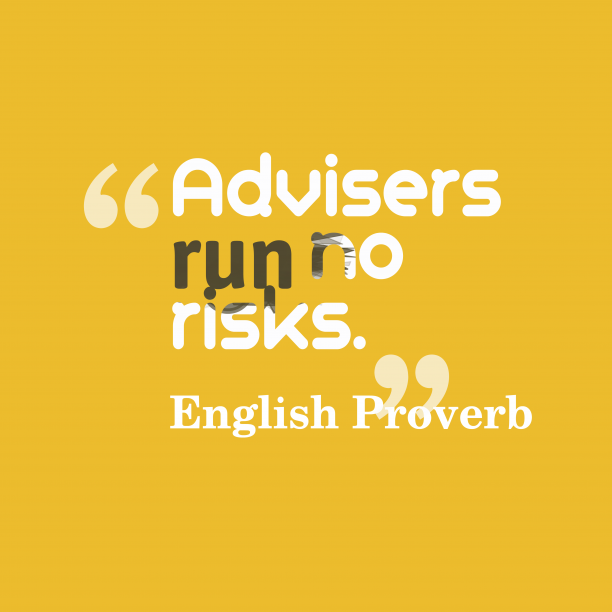 English wisdom about advice. 41. 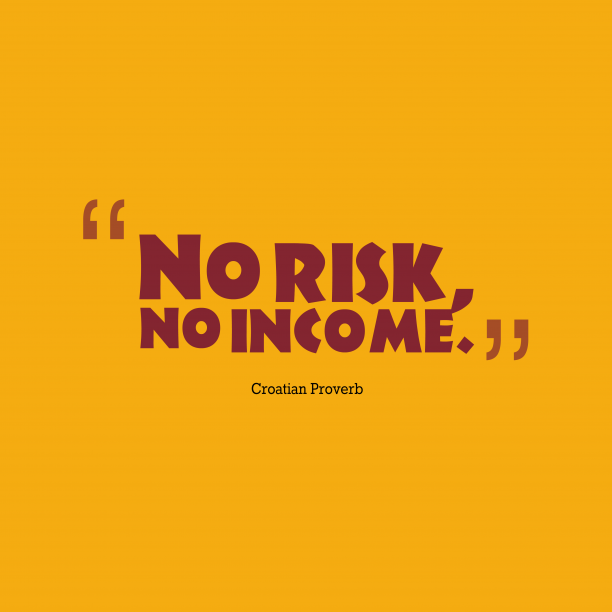 Croatian wisdom about income. "This is the example post. You can *highlight any word by adding *asterisk* mark before it." "He who finds Fortune on his side should go briskly ahead, for she is wont to favor the bold. " "Self-confidence is something caught and not taught. 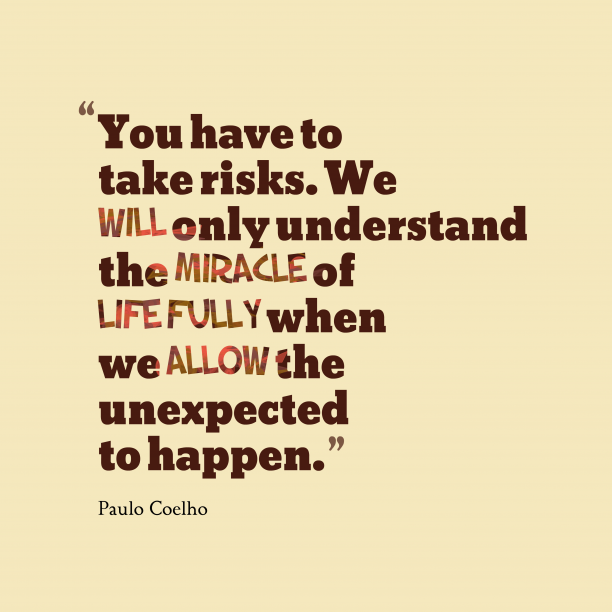 And, risk-running and chance-taking are the only ways to catch it. " "One runs the risk of weeping a little, if one allows himself to be tamed. " "Caring about others, running the risk of feeling, and leaving an impact on people, brings happiness. " "Being able to support oneself allows one to choose a marriage out of love and not just economic dependence. It also allows one to risk that marriage. " "With love, you should go ahead and take the risk of getting hurt... because love is an amazing feeling. " "Accept that all of us can be hurt, that all of us can - - and surely will at times -- fail. I think we should follow a simple rule: if we can take the worst, take the risk. " "The married are those who have taken the terrible risk of intimacy and, having taken it, know life without intimacy to be impossible. " "Happiness comes of the capacity to feel deeply, to enjoy simply, to think freely, to risk life, to be needed. " "First weigh the considerations, then take the risks. " "And the day came when the risk to remain tight in a bud was more painful than the risk it took to blossom. " "When a woman marries again, it is because she detested her first husband. When a man marries again, it is because he adored his first wife. Women try their luck; men risk theirs. "